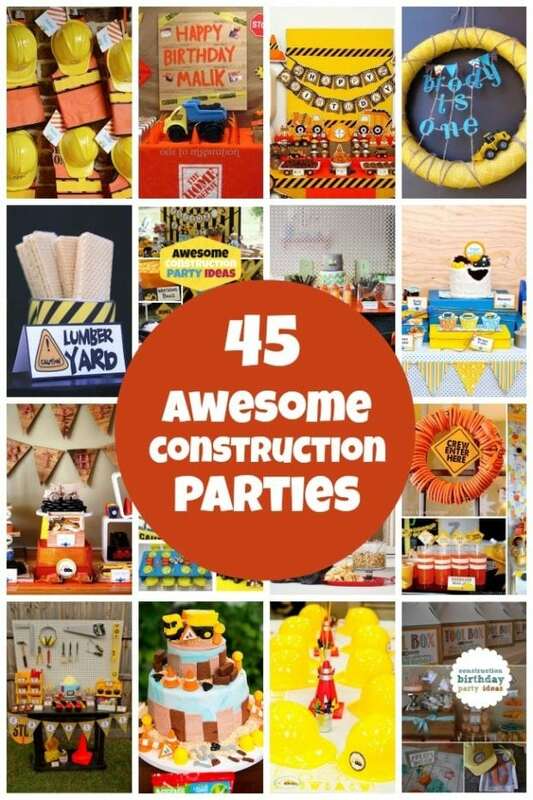 A construction party that features trucks, tools, colorful decorations, fun party games and buddies adds up to a Happy Birthday celebration full of good times for any little boy. For a truck load of inspiration, here’s 9 Construction Party Ideas. Don’t miss out on these 17 Construction Party Must Haves! 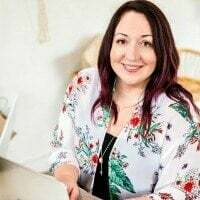 Check out what Amanda, of Dixie Delights, has done with easy to find party supplies and be inspired! Red, grey and white with touches of yellow carry lots of visual energy in this boy’s party. The backdrop is actually a “slip covered” painting that already hangs on the porch. Kraft paper is dressed up with a theme colored pennant in stripes and checks, oversized tools and bolts. The table is full of fun touches, too. A red and white chevron table cover looks terrific with the balloon bouquets on each end. Using a real tool chest as the platform for the cake is a great idea. Amanda says the easy Oreo cake with sparklers stole the show! Cupcakes, tool shaped cookies and yellow dump trucks round out the display. Amanda used more kraft paper on the kid-sized guest table, which she glorified with red and white polka dots. The polka dotted napkins fit right in here and simple white plates are just what are needed to make the “Dig In” party snack bags stand out. “Crew Cooler” wraps work well for the water bottles; striped straws pair perfectly. Several activity stations kept the little ones happily engaged. Amanda pre-painted kit pieces with chalkboard paint and provided plenty of colored chalk for the most popular “Build Your Own Toolbox” station. Additional areas for Mega Blocks, Lincoln Logs, a DIY activity book and her son’s tool bench kept everyone busy.